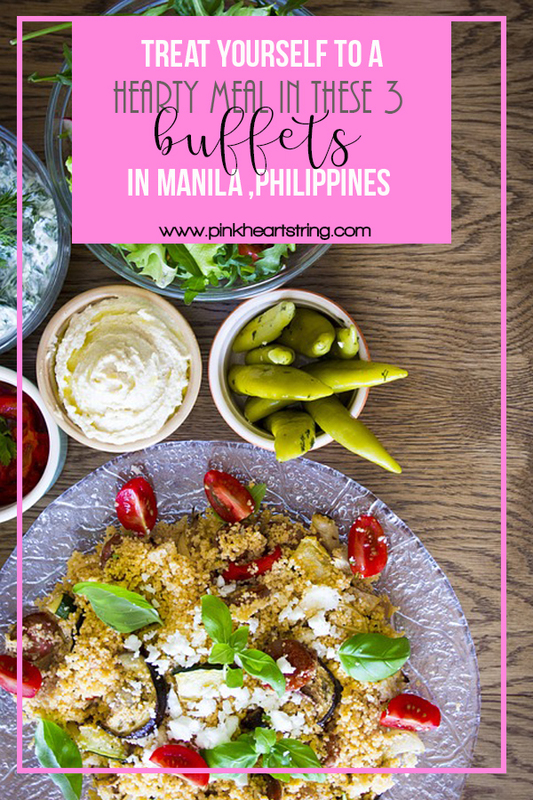 If there’s one thing us Filipinos love, it’s a great deal on food—and for many people, a great deal means a seat in a world-class buffet restaurant that features a mouthwatering array of dishes and cuisines. The experience is definitely made even more memorable when shared with family and friends over stories and laughter. 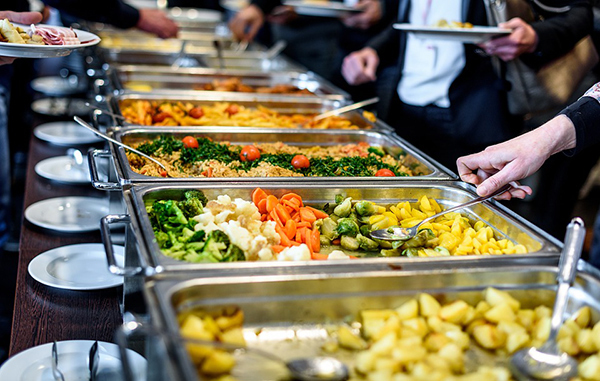 It’s no wonder why affordable buffet meals are some of the most sought-after deals on discount sites such as Deal Grocer. These exclusive offers provide the perfect opportunity to celebrate for any and every reason—you can simply treat yourself after a hard day’s work or commemorate important life milestones or occasions like birthdays and anniversaries. Group deals are also a great idea for co-workers to take a break and enjoy each other’s company. When checking out deals, those that are certified Customers’ Choice have been tried and tested by fellow diners with five-star ratings. However, all offers on Deal Grocer are guaranteed the best price in the market. This means you are assured that you are getting the best bang for your buck whatever deal you end up getting. This will surely make you more confident in your dine-outs, even on a moment’s notice. 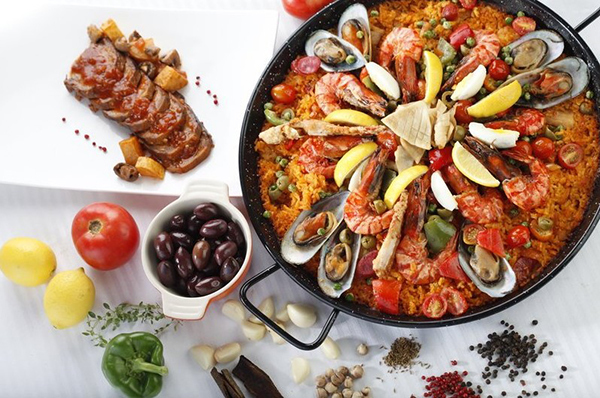 One of the most exciting and incomparable offers among hotel restaurant buffets today is the everyday lunch offering at the F1 Hotel in Bonifacio Global City, Taguig. At only P860 per person with free-flowing iced tea, it’s a steal with up to 43 percent savings from the regular price. It’s a great solution for last-minute meet-ups with co-workers, friends, or family—or even just to treat yourself with a satisfying meal. A great deal for a quick date is the buffet for two packages at Flavors restaurant in Holiday Inn & Suites Makati. Get it for only P2,199, which is 34 percent off from its regular cost. The deal is applicable for lunch from Monday to Saturday, or for dinner from Sunday to Thursday. If you are staying at the hotel, save some money with Holiday Inn discount codes. The buffet spread offers a replete selection of food. Start with appetizers such as different kinds of salads, sushi, and noodles. Enjoy Asian and Filipino fare for the main dishes—from lechon kawali and adobo to beef kalbi jim and chicken tikka. The dessert bar is also expansive, with selections of ice creams, cakes, crepes, and the iconic halo-halo. Back by popular demand, Niu by Vikings is offering its blockbuster, award-winning weekday lunch buffet package for a party of four priced at only P3,112. That comes to a final price of only P778 per head. Patrons can enjoy a well-curated selection of food spread out across nine stations, covering international cuisines such as Italian, French, Mediterranean, Japanese, and Chinese, plus a free-flowing drink bar. It’s a great deal for group gatherings and for commemorating special events such as birthdays, anniversaries, and many other family milestones. Make it a habit to check out top buffet deals in the metro before you plan parties or dine-outs with family and friends. Discount packages are a great way to save while still enjoying delicious food and quality service. These offers are on a limited basis only, so be sure to check often and grab the offers you want quick. Also, don’t forget to review the terms and conditions of these discount deals to make sure that each transaction goes smoothly.